Schutz und Buzzetta win in a Porsche 910 the 1000 Km of the Nurnburgring 1967. 24 Hours Of Le Mans 1966. Hermann/linge Porsche 906 Langheck. 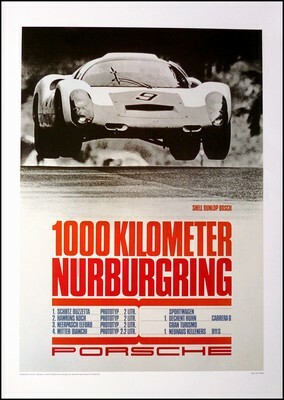 Do you have a question concerning our product '1000 Km Nurburgring 1967 - Porsche Reprint' ?